An oral surgeon is a specially trained dentist who has completed four years of dental school plus an additional four years of hospital surgical residency. Oral surgeons are skilled in performing advanced dental procedures like dental implant placements and extraction of impacted wisdom teeth. They also treat facial injuries, broken jaws, knocked-out teeth, temporomandibular joint (TMJ) problems, and cosmetic and restorative surgeries. When you have a dental problem that requires a specialist, your general dentist in Sweet Water may refer you to an oral surgeon. Oral surgeries and extensive dental procedures often require general anesthesia to prevent pain. Oral surgeons are trained to administer all types of anesthesia, so they can make your experience as comfortable as possible. General anesthesia is usually reserved for extensive work that involves incisions into soft tissues. Local anesthetics such as lidocaine are adequate for smaller repairs. If your surgery requires general anesthesia, you won’t be able to drive yourself home, so be sure to designate a driver to accompany you to your appointment. 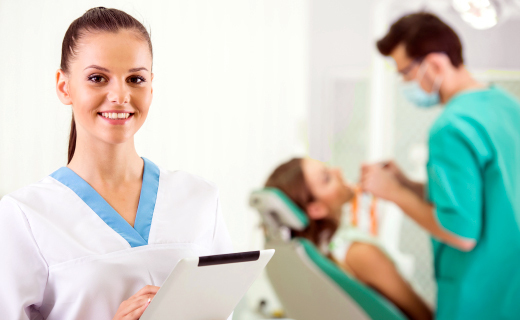 Finding an oral surgeon is usually not a difficult process. In many cases, your family dentist can recommend someone who is located nearby and accepts your dental plan. Before committing to an appointment, be sure you are comfortable with the surgeon and his or her credentials. It is also advisable to discuss potential costs with your insurance provider before undergoing extensive dental procedures. If you don’t have a family dentist, check your local listings for available providers. If a sudden injury or other crisis situation occurs, go to your local hospital emergency room for treatment.